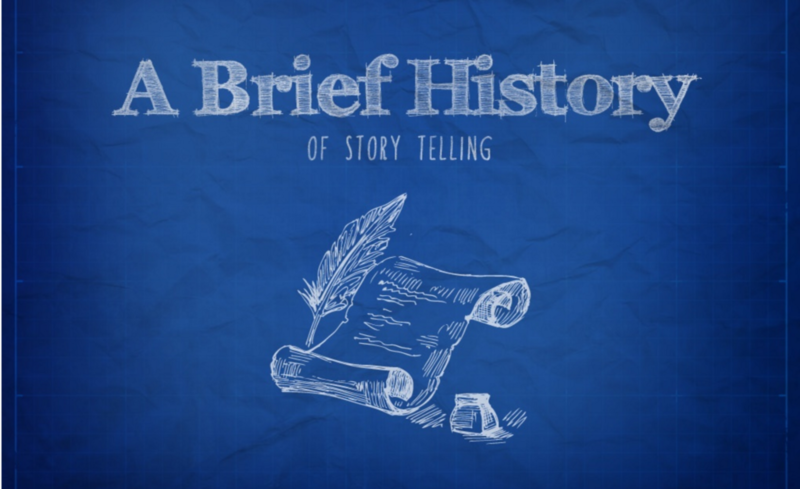 Telling stories allows the audience to create a personal connection with you, your product, and your service. Stories are great because they tell the audience WHAT you do and WHY you do it. This is important, because people want to connect with you in order to understand what drives you. This is the problem that hurts your customers’ quality of life. Characterize the villain in a dastardly way and let the customer know what happens if they prevail. This is your solution. Give back story to the hero and how they rose up to fight the villain. Let the customer be part of the hero’s journey to prevail. Your story should have action throughout. From what happens when the villain is introduced, to when the villain and hero confront each other; lead your customer on a tale to make a logical decision that feels emotionally correct. The way you tell your story needs to be suspenseful and open-ended, and the audience needs to participate in order for the hero to prevail. From this moment, the idea of Big Fish Presentations was born. In our story, the villain is the thought of boring presentations preventing good ideas from being heard; the heroes are Kenny and Gus; and the suspense is the realization of an opportunity. We tell this story when talking about Big Fish Presentations in keynotes, as we understand other professionals can relate. We’ve all seen boring presentations in our lives, so telling this story helps others appreciate the reason why we do what we do. Remember: Telling a powerful story can be the decision maker when opening or closing a pitch. Good presentations have structure and flow. The audience should be excited and surprised with what you have to say, but they should also know where they currently are within the presentation. Imagine being lost in an hour-long pitch. No matter how wonderful the presenter is you’ll still wonder where they’re taking you in their presentation. Creating a structure and roadmap not only helps the audience identify where they are, but also helps you pace your presentation. Practicing your presentation in parts will help you more easily nail a specific section. After you practice all the parts, you’ll be able to easily remember your content, as there’s less pressure in the beginning to memorize the entire speech. When it comes to delivering presentations, it’s important to make sure you know your audience. Knowing your audience will not only ensure you do not alienate them, but will also identify what they want to hear. Explaining complex topics as if you were speaking to someone’s grandmother. Ask yourself is the audience can easily understand the data you’re presenting. Classic example is Steve Jobs: While presenting the iPod, he appealed to the techies by explaining how much space it had and then explained how many songs it could hold. This helps two different audiences appreciate the same product. Find out if your visuals and slides are simplistic, by asking yourself who really tells the story: your slides or your words. You should be the presentation, not the slide show. See our SlideShare here for good examples of simplistic design. Simplicity is harder to reach in presentations; trust us, we know. However, we can’t stress the importance of taking complex topics and making them easily digestible to the general audience. We specifically wrote about how to tackle this in an article on developing Ethos, Logos, and Pathos as a presenter; and how being simplistic can help boost your appeal as a speaker. Having a call to action is critical in a presentation as it heightens the suspense between you and your audience. If there’s no call to action, you just wasted your audience’s time. Presentations are meant to persuade, convince, and empower; so if there’s no request for change, there’s a flat line in the presentation. 1) The question, or “big ask,” requires an audience to change the way they think and feel about your topic. 2) The demand urges the audience to move immediately. This is more effective on issues based on trust or dire situations where time is an issue. For this, it’s better to be assertive than aggressive. 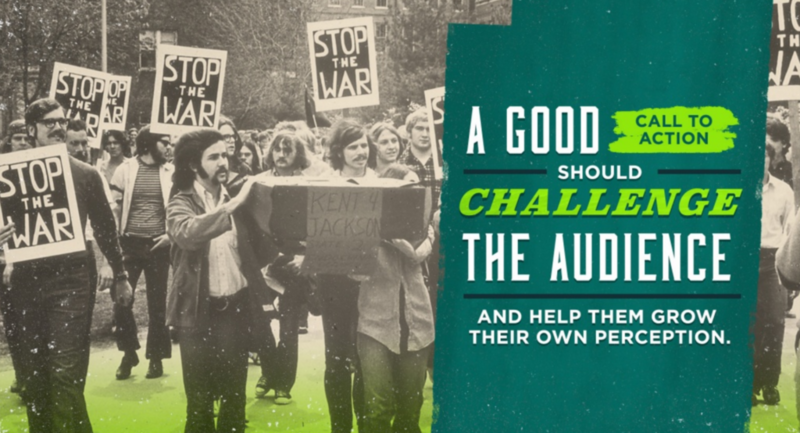 3) The offer immediately gives the audience something in return for their decision. People have a hard time turning down an easy deal, so presenting them with a guaranteed prize of some kind; you’re prompting action in your favor. Your call to action should be first in your mind when you begin writing the presentation. This will always help you prepare the content in a way that effectively supports your argument. Your pitch has to be logically and emotionally convincing for the audience. Creating great content is just as important as delivering a great presentation. And while practice is important, don’t forget to hone your story, lead your audience, make things simple, and always ask them to change themselves for the better. Have any questions, comments, or suggestions on what you believe are the perfect ways to pitch? Let us know at hq@localhost. 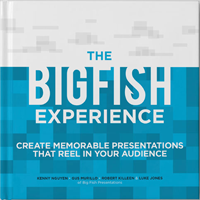 And don’t forget to check out our book The Big Fish Experience for more presentation tips – or subscribe to our blog to stay updated on the latest presentation, design, video, and creative trends.